The AGMT Certification Program is pleased to announce that on March 29th, 2019 the American National Standards Institute (ANSI) formally issued Accreditation for the Architectural Glass and Metal Technician (AGMT) Certification Program under Administrative Management Systems, Inc. (AMS) as the Program Administrator and Certification Body (CB) in accordance with the requirements of ISO/IEC 17024:2012, as well as ANSI’s own accreditation requirements. Accreditation is very similar to certification. Just like in certification, there is an independent party who assesses and determines whether or not an organization meets specific requirements. In the case of ANSI’s assessment of AMS and the AGMT Program, they chiefly assessed to ISO standard ISO/IEC 17024:2012. The end result is called accreditation. 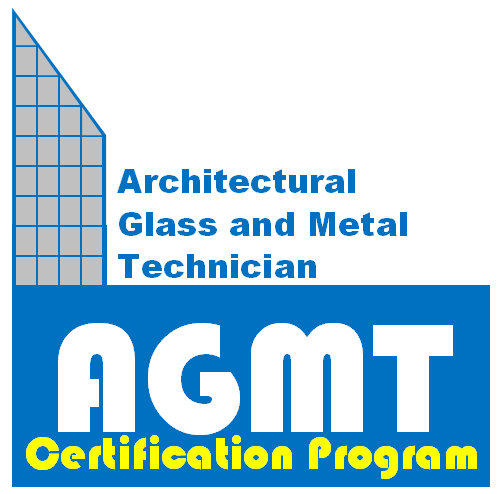 This Accreditation relates specifically to the implementation of the AGMT Certification Program for architectural glass and metal technicians. The American National Standards Institute is a not-for-profit entity specializing in assessment and accreditation (among other endeavors) of bodies performing third-party conformity assessment. ISO/IEC 17024:2012 is an internationally-recognized standard, or set of requirements for bodies operating personnel certification programs. It is the main source of criteria used to assess AMS, Inc. and the AGMT Program. The requirements found in that standard help ensure AMS and the AGMT Program operate at a higher standard in the most critical areas of a personnel certification program: from verifying examination staff are highly trained and competent, to ensuring equal treatment of all candidates to provide for an open and transparent path to certification. But perhaps most critical is the requirement that the program’s exam is reliable, valid and fair…a demanding process, which for AGMT included beta testing, psychometric analysis and countless hours from industry experts across North America. AMS has been the administrator and operator of the AGMT certification program since its inception in 2017. AMS has developed a deep understanding of certification and operates with competence and experience providing certification services to programs including NACC, IGCC/IGMA, SGCC, and WDMA Hallmark. How will this affect my certification? Accreditation of AMS, Inc. and the AGMT Certification Program is the formal recognition that they have met strict requirements placed on them. This means that as a certified person or end user of the AGMT Program you can be sure that AMS’s conformity assessment system meets some of the highest quality standards in the world. AMS and the AGMT Program operate to stringent guidelines to meet certification program obligations. If you are not a current AGMT Certified Technician and wish to become one, please call our office at (315)646-2234, or email us at staff@agmtprogram.com. Accreditation doesn’t mean that ANSI approves or accredits certified personnel. The ANSI Accreditation symbol cannot not be used by AGMT Certified Technicians.